2" head pins, antique bronze or antique brass, 21 gauge. 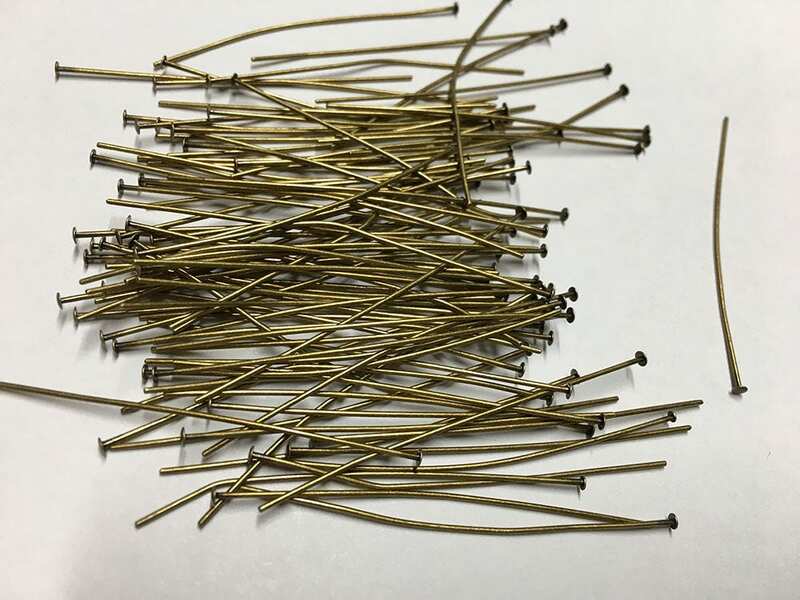 You will receive 100 headpins. A jewelry maker's necessity! Color is referred to in different ways - antique brass, antique gold or antique bronze. 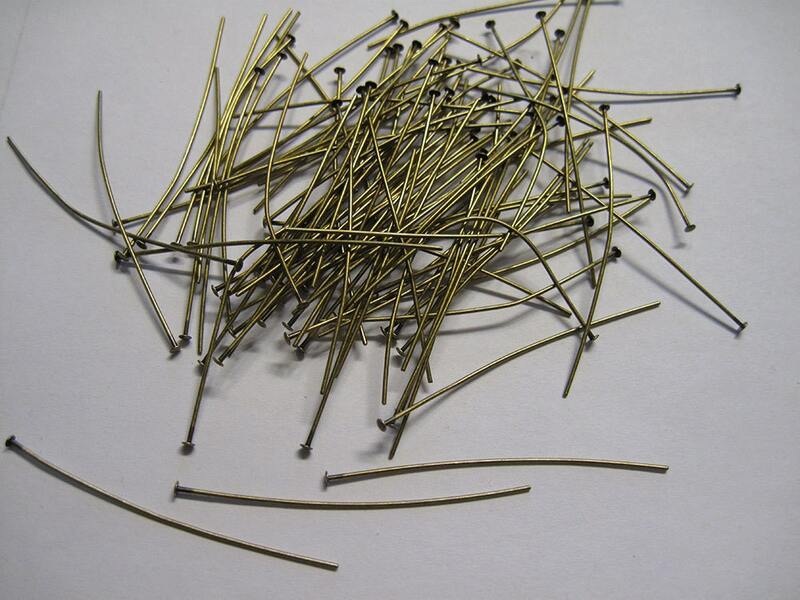 Pins may not be completely straight but can easily be straightened as you work with them. perfect item, as described. thank you.